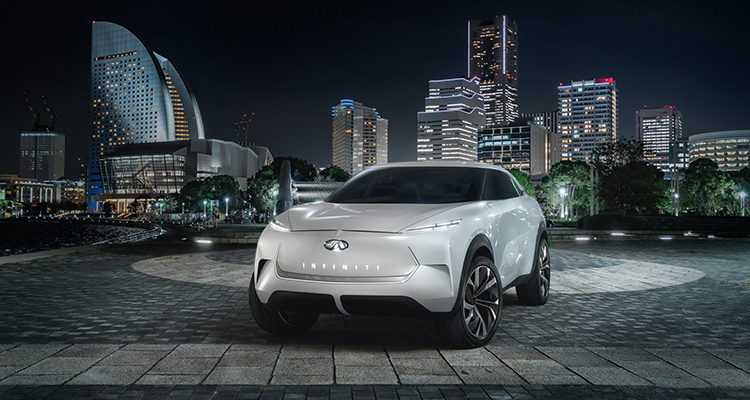 The new concept represents INFINITI’s plans for high-performance electrified vehicles, offering complete range confidence, while signaling a new era for INFINITI design. The new QX Inspiration concept represents INFINITI’s plans for high-performance electrified vehicles, offering complete range confidence, while signaling a new era for INFINITI design enabled by new technology. Infused with Japanese DNA, a refreshed form language hints at the potency and character of the brand’s future electrified powertrains. Inspiration concept at the 2019 North American International Auto Show this month. and character of the brand’s future electrified powertrains.